It’s quite doubtful that Steve Jobs would have approved of a movie about his life, beyond what's been already produced, but the rumors have spread that Sony Pictures has contracted a deal with Steve Jobs biography writer Walter Isaacson for $1 to $3 million to produce a movie based on his book that’s been a bestseller since its release. The recent rumors claim to have answer on this most important question. 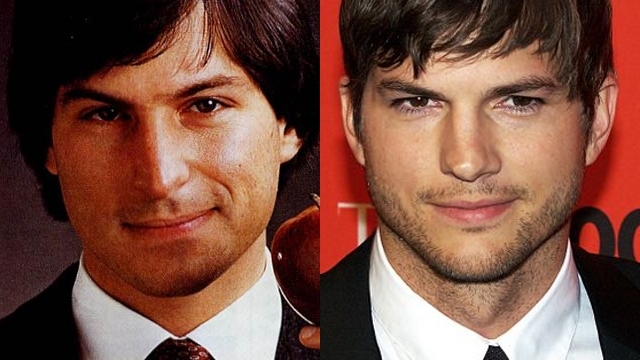 Several sources claim that it’s Ashton Kutcher who will play the world’s most innovative visionary. When this news first broke, people supposed it had to be an April fool’s joke, but the news seems to still stay quite timely…However, Kutcher will appear in an indie flick directed by Joshua Michael Stern from a script by Matt Whiteley. Seemingly, the movie is already funded and filming will start in May. Are you a bit confused? We too. But to try and sum app all the tittle-tattle about the topic, here is what we get: Sony Pictures is directing a movie about Steve, with no single mention about the leading actor. Simultaneously, an independent “pictures” with already a solid investment and Ashton Kutcher in cast is working on “Jobs”, with the shooting starting later in spring.